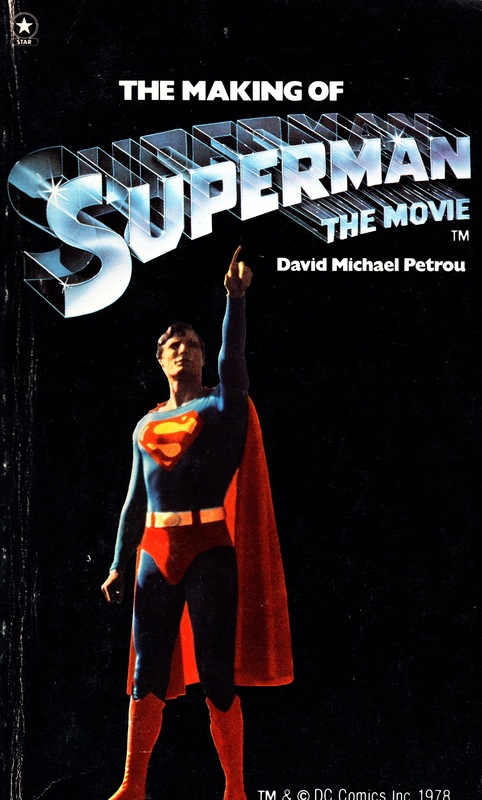 This is a paperback novel-sized tie-in to the 1978 superhero extravaganza. 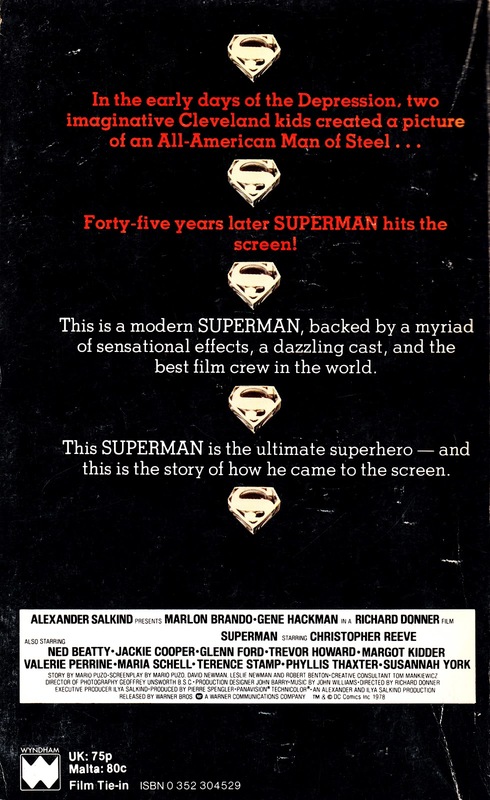 It's a text-based account of the making of the blockbuster movie SUPERMAN: THE MOVIE. These days, of course, any movie deemed to have half-a-chance of a reasonable career at the box office is given the copiously illustrated hardback treatment, packed to the rafters with reader-coxing production designs and paintings and other behind-the-scenes insights. Back in the 1970's, a cheaply produced paperback was deemed all that was required. Incidentally, according to the movie's Wikipedia entry, the book's author makes a cameo appearance in the film's Smallville High School Football scene. Somewhere. I've not reread the book yet so can't confirm whether that's covered (and true!). I first found a copy of this book in the mid 1980s, hidden in a spinner rack of assorted paperbacks in a general store in Clevedon, North Somerset. I bought it at the time, had it for years and then (eventually) misplaced it or dumped it in one of those periodic clear-outs we all regret later. This summer, I stumbled across this copy on the book stall of my local village fair, and eagerly paid-out the 30p required to become reacquainted with it. As an aside, there's something that never gets old (unlike me) about rummaging through summer fairs and fetes in the hopes of stumbling across something unusual. When I was a kid, these were ideal places to find copies of seventies Marvel UK titles and the like. At various times, at various fairs, I acquired copious copies of slightly-before-my-time copies of STAR WARS WEEKLY, HULK COMIC and SPIDER-MAN as well as all sorts of old annuals. This hitherto undiscovered history was always fascinating... as well as a great read. Do kids still do this today? Can they ever be as excited as I was? Do they even care about our printed past? Labels: 1978, SUPERMAN THE MOVIE.